Top seeds Jamie Murray and John Peers - playing together for the first time in more than three years - were knocked out of the Grand Prix Hassan II in Marrakech in the first round. Britain's Murray and Australian Peers were beaten 7-6 (7-3) 6-7 (7-9) 10-6 by Denmark's Frederik Nielsen and the Netherlands' Matwe Middelkoop. 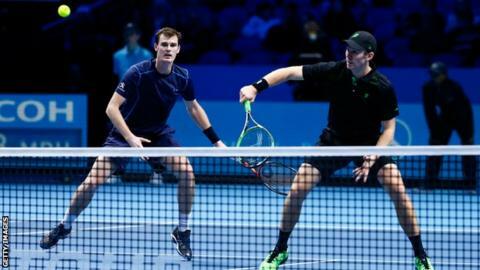 Murray and Peers split after reaching the ATP World Tour Finals in 2015. Elsewhere, Germany's Alexander Zverev reached the singles second round. The top seed beat Uzbekistan's Denis Istomin 6-4 6-4 and will play Spain's Jaume Munar next.